There is now official confirmation that BC’s first Athletic Commissioner is Dave Maedel. You can click here to read about his background. 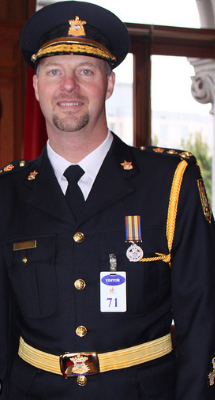 Maedel, who recently served as the Chief Sheriff of BC Sheriff Services, is now the first acting BC Athletic Commissioner. With his formal powers coming into force on May 30, 2013 BC now has a new Sheriff for professional Boxing and MMA. Congratulations on your appointment and good luck serving BC’s combat sports community! I sure hope he surrounds himself with the right people, and does as much as he can to educate himself on the sport of MMA. It’s hard not to be nervous for where the sport is headed when the people in charge of regulating it don’t have a lot of experience within the Crazy MMA industry. Best of luck, and looking forward to what Dave can do for MMA in B.C.